Your home is your castle. It’s the place you go to feel safe and to feel comfortable. It is very important that you can go home for a nice quiet place to relax, cool off and truly be yourself with your family. If your home is anything but this, then you may need to invest in some honeycomb shades. What are honeycomb shades, you ask? The may just be the answer to your home’s problems! Honeycomb shades are so named because when viewed from the side, they are hexagonally shaped, just like a honeycomb! This design provides extra padding, which is helps these shades ensure that your privacy is protected in your home. If you don’t want the world looking in on you, honeycomb shades are a great way to make a little private time for yourself. These shades also feature a double barrier due to the hexagonal construction, which does more than just offer privacy from your neighbors. This double padding can also keep your home cool even in the intense Florida sun and even help to muffle street noise. These blinds are also designed perfectly for motorized function, which means you can use them with an automated or remote system to make your life even easier. If you have young children or pets, safety is always on your mind, especially around your windows. Our honeycomb blinds are designed with breakaway cords as a safety feature. This means that if your young child, dog or cat gets tangled up in a cord, they won’t injure themselves. The cord will break off instead, preventing a choking or hanging hazard. Plus, once the cord detaches, it snaps back into place with ease, so there’s no reason to worry about ruining your blinds. 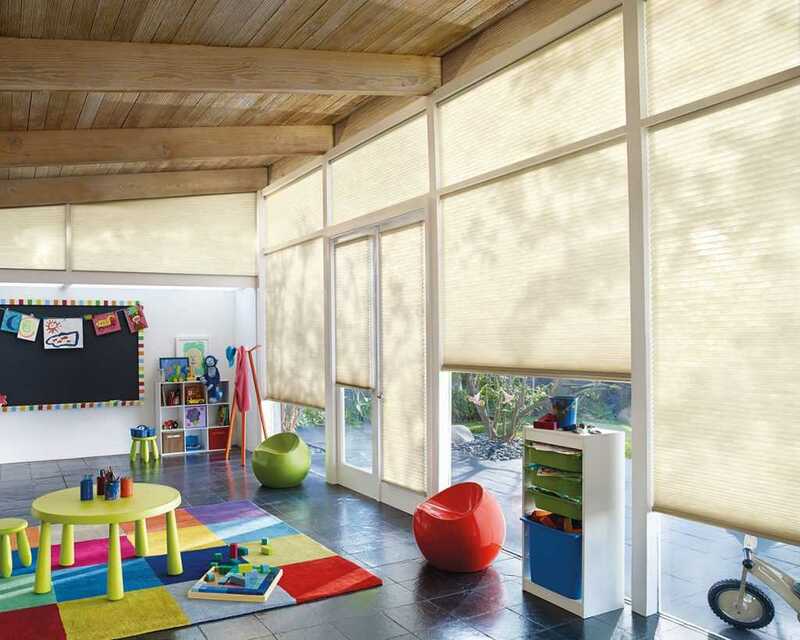 Honeycomb shades are available at Boca Blinds and they are more affordable than you might think. Located in south Florida, our team of window treatment experts knows blinds and shades well, and you can trust us to help you find just the window options you need. To learn more about honeycomb shades or any of our other options, call us today at 561-368-5322.